This blog is the first of a four-part blog series to explore the idea of leadership intelligences, or the areas of focus specific to developing leaders. While many items have been said to cultivate leadership, most of those cultivate management. Before proceeding, I will outline a specific definition of leadership. I will use formulations by John Kotter, which remain relevant even in our current VUCA context. Management theory develops learners to optimize the current paradigm to “cope with complexity” (Kotter, 1994) by reducing demand—tactical implementation—and becoming more effective and efficient (Conner, 1998). In sum, managers must be adept at allocating resources. Leadership theory develops learners to operate between paradigms to “cope with change” (Kotter, 1994) and uncertainty at a level of discontinuity, as well as to increase capacity—enterprise preparation—in an unpredictable future (Conner, 1998). In short, leaders must be adept at aligning meaning. I realize that many adopt a broader definition of leadership, but for this writing, I’ve chosen this narrow definition to prevent placing expectations onto leadership that properly belong elsewhere. Some treat leadership as a black box in which to place any personality idiosyncrasies. This tends to diminish it as a legitimate human phenomenon worthy of specific intelligence. I also realize that our current volatile and non-linear change requires that leaders also cope with complexity, but I assert that leaders must engage complexity as it pertains to change (not isolated from change). Essentially, the nature of change today—its pace and complexity—has focused development efforts and resources on leadership. Consider the evolution of coaching from life coaching (in its earliest days) to productivity or performance coaching around the turn of this century. 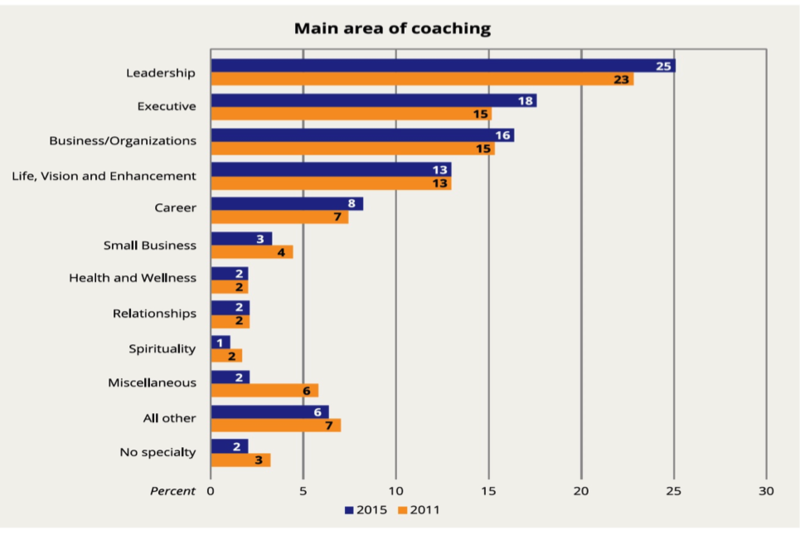 Then, around 2014, the primary reason for hiring a coach began trending to leadership development. As we enter 2018, this shift will continue. Research from ICF (International Coaching Federation) has revealed this trend (see grids to right and below). In truth, most of us adopt a blend of leadership and management competencies to satisfy expectations and produce results. Still, employing the “leadership” part of this blend requires knowing what to develop or expand. And this challenge, today, has become the interest and focus of learning and development professionals. Developing leaders and increasing leadership capacity is quite distinct from enhancing management performance or expanding productivity. What is it, then, that finds leaders being a leader? What is the being of being a leader—the mindset— required for leadership? This essence must be present for all else to manifest. Without this foundation, leadership falters. At its core, this function and nature of being is available for all humans to access directionally toward greater integration, wholeness, and freedom in any situation. It is what has leaders open to change, to cope with change, and to evolve with change in ways that develop others for the next paradigm. These questions speak to meaning-making, language, thoughts and perceptions: the mindset of a leader. This mindset requires many inner strengths often overlooked or, worse yet, dismissed in organizational life. These inner qualities require the cultivation of a fundamental intelligence that is a priori to all other skills, abilities, or practices. It is this being of a leader I wish to explore as well as posit four intelligences regarding being. I will begin with the four intelligences: Awareness, Trust/Integrity, Authenticity, and Commitment. Much of this work comes by way of researching and observing this phenomenon through philosophy, art, and science. 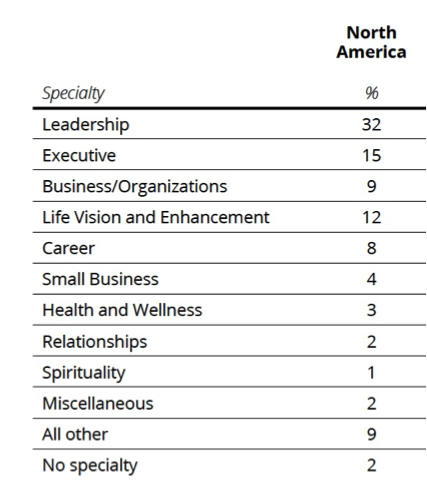 Much of it also came from teaching leadership both to graduate and undergraduate students, not as a field of study “about leaders” but as a way to explore for oneself. This provided a practice field for learners to develop that mindset in a given semester or program. These four intelligences, when cultivated and developed, will focus efforts on the specific charge of increasing leadership capacity. In the next three blog posts, I will present this work to share these insights. This blog will examine Awareness. The next will explore Trust/Integrity. The final (4th) post in this series will bring these four intelligences together with abilities and skills that predict proficiency in each. This most elemental capacity opens us to our experiences. The term “awareness” is often used as a vague and general proxy for paying attention to external realities and focusing on tasks and results. It is thus often assumed that when we speak of awareness, we all know what we are referring to. Our Western worldview, however, encourages becoming present without delving into the fullness of an awareness distinct from intelligence, knowledge, or understanding. We are often aware of occurrences without being mindful of them, that is, aware of music without hearing lyrics or melodies, aware of art without being moved by its beauty or truth, or aware of food without tasting it, experiencing its flavors or sensations in our body or enjoying the culture that a bite can offer. Given that most of our work, our social interactions, and our information-based lives involves saturation and overload, with increasing complexity that draws on our mental states, cultivating true awareness becomes critical just to unload and survive. Awareness includes external and internal awareness through observation, reflection, and introspection. Any leadership program designed to develop (not study) leaders must begin with awareness as the basis of the journey. Awareness requires several layers. The grid below details the evolution of awareness within our work and practice. First is the leader’s requirement to offer a credible interpretation of reality or the present moment. 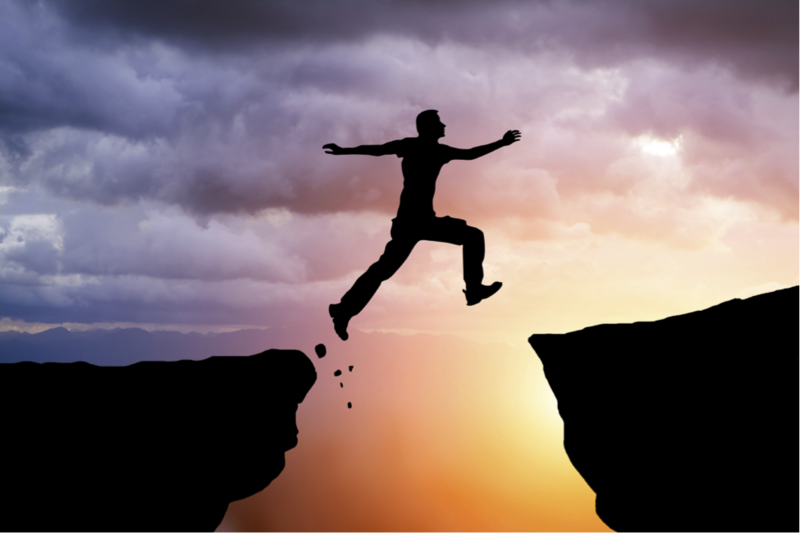 Without a credible view of the current situation, people are unlikely to take the necessary leap of faith to create change or engage an uncertain future. Getting the facts down, discerning assertions (facts) from assessments (beliefs and interpretations), grounding assessments in reliable evidence, and distinguishing patterns based on evidence are all required competencies for becoming a keen observer of the details of life. That first part of awareness necessarily leads to or derives from self-awareness, and this is where the work gets challenging. We do not see reality; rather, we project our view of reality and then look for evidence to confirm any biases or beliefs. Seeing reality begins with clearly seeing the self, with continually stripping away our self-deceptions and dissolving any delusions. Individuals have blind spots. We can own these and leverage them to sort out our delusions, to surround us with different perspectives, and to invite important feedback that grounds us in clear self-assessments. As we increase awareness, we increase what we do not know, which can be most unsettling, and increase our anxiety levels, which then motivate us to increase new levels of awareness. Look at this as a circular, not linear or sequential, effort. 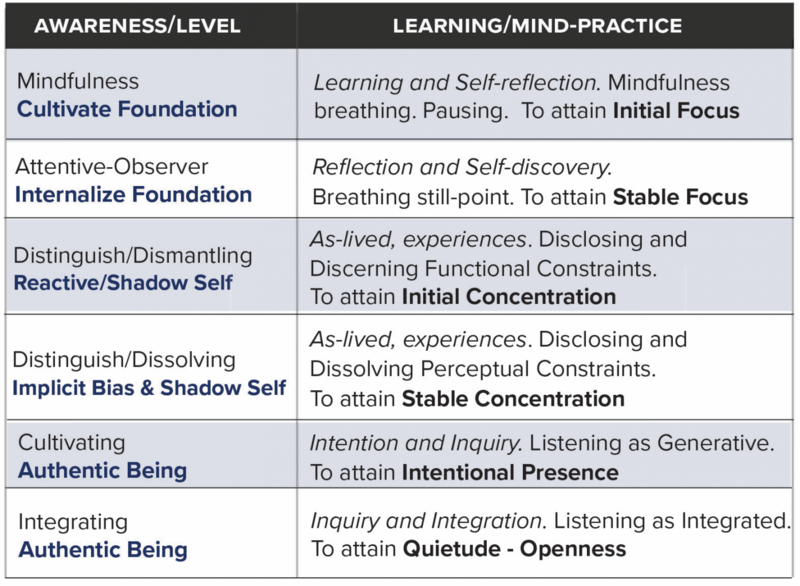 The journey of awareness is continuous and expands us to patterns, systems, worldviews, mental models, and our own level of responsibility in any situation as co-creators. OUR PRESENCE: We become open to larger contexts, patterns, and whole systems. 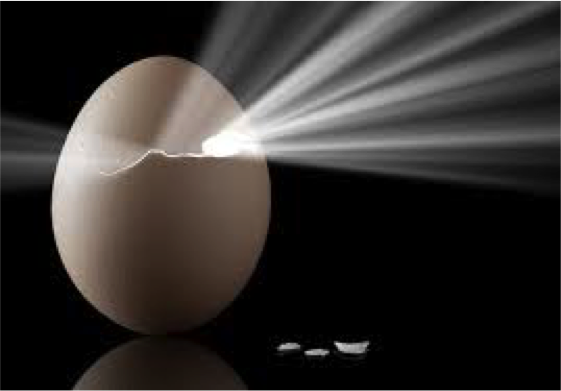 We become open to actions already unfolding and emerging before us. OUR INTENTIONS: What are the perceptions that we use or that use us? What is our unique makeup? Who are we as listeners? OUR SHADOW: Through contemplative practices, we explore our shadow self to surface unconscious impulses that can undermine our leadership. OUR PRACTICE: We engage contemplative practices for clearing the mind. Being mindful involves us resting our attention with nonreactive awareness and purpose as we enter each situation. Part 4 in this four-part series explores Commitment, leadership intelligence #4.